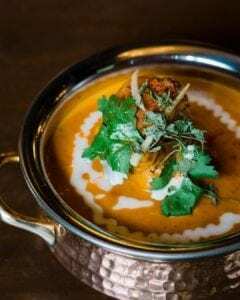 It’s not often you get to try something new – go on a trip bursting with flavour across India with Haweli South Edmonton Common. Serving up dishes from various regions in India, Haweli aims to provide both vegetarian and non-vegetarian food items. Fan favourites include rich basmati rice bowls, prawn butter masala, tandoori lamb chops, and butter chicken. You can eat-in, take-out, or they will even cater to your special occasion!